Italian rider Loris Capirossi ended the first MotoGP qualifying session in first place, surprising Valentino Rossi and Tohru Ukawa who had dominated the hour long period until the final twenty-three minutes. 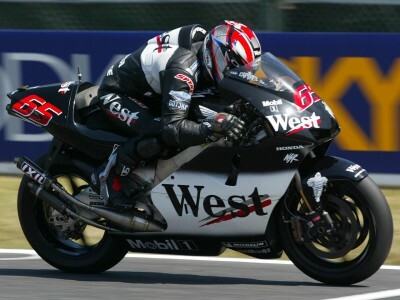 The West Honda Pons star posted a lap of 2.05.052 which proved too good for his rivals, despite Rossi getting to within forty-four milliseconds of the mark. Ukawa trailed Capirossi by some half a second, and American Kenny Roberts Jr pulled another surprise by riding his Suzuki 4-stroke into fourth place ahead of the third Honda RCV211V of Itoh and the Yamaha of Carlos Checa, who in turn led home Katoh and Biaggi. Hopkins, McWilliams and Riba were the session's only fallers, however the Spanish debutant broke his right deltoid tuverosity thus putting in doubt his participation in Sunday's opening Grand Prix of the season.